My first memoir "Walking on Ice" is about finding true love in the frozen wilds of Alaska and my journey into the world of the Yup'ik Eskimo people. 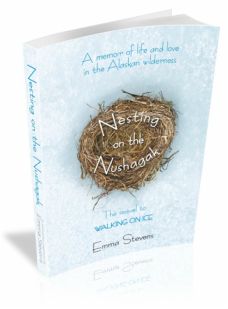 "Nesting on the Nushagak" continues the story. is also available as an e-book from Amazon, Kobo, iBook & Smashwords.